1. Hydraulic cylinder is the hydraulic actuator which could transfer the hydraulic energy into mechanical energy, do linear reciprocating motion (or swing motion). 2. It is simple in structure and reliable in work. 3. Use it to achieve reciprocating motion, eliminating the need for deceleration devices, and no transmission gap, smooth movement, and therefore in a variety of mechanical hydraulic system is widely used. 4. The output force of the hydraulic cylinder is proportional to the effective area of he piston and the pressure difference between the two sides of the hydraulic cylinder. 5. The hydraulic cylinder basically consists of a cylinder barrel and a cylinder head, a piston and a piston rod, a sealing device, a buffer device and an exhaust device. 6. Depending on the application, the cushioning and venting devices are essential and other devices are essential. 1. From 1 ton to 45 ton capacities a precision engineered heavy duty hydraulic cylinder to fit your needs for any equipment, truck, for both dump body and platform application. 2. Heavy duty hydraulic cylinder for road maintenance, road maintenance, fire & rescue, utility construction/maintenance etc. 3. Heavy Duty hydraulic cylinder includes kadke tilt cylnder, furnace lift, and coiler cylinder. Shenzhen DALLAST Technology Co. Ltd., offers a full line heavy duty hydraulic cylinder design, providing dumping capacities of 1 to 40 tons. And the stroke of hydraulic hoist cylinder could be customized according to your requirement. Their popularity is due to competitive pricing, availability and durability. 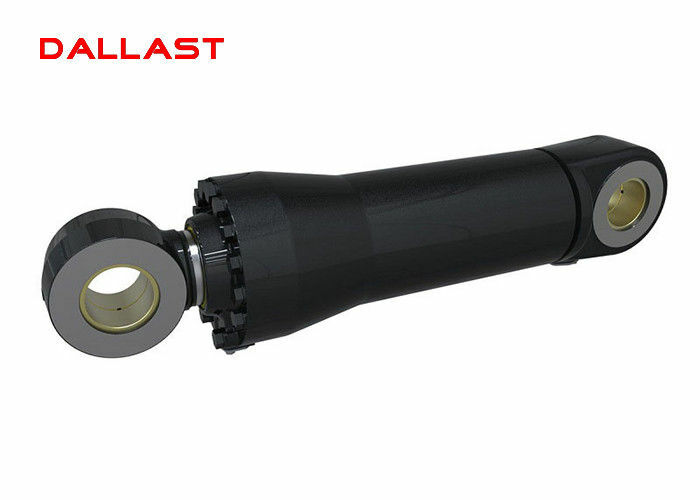 DALLAST heavy duty cylinder comprise the fastest growing product line the company offers.